Amazon has filed two interesting trademarks in Canada: one that seems to relate to the company’s rumoured Blue Apron-like food service and one that likely has to do with the Echo Look. 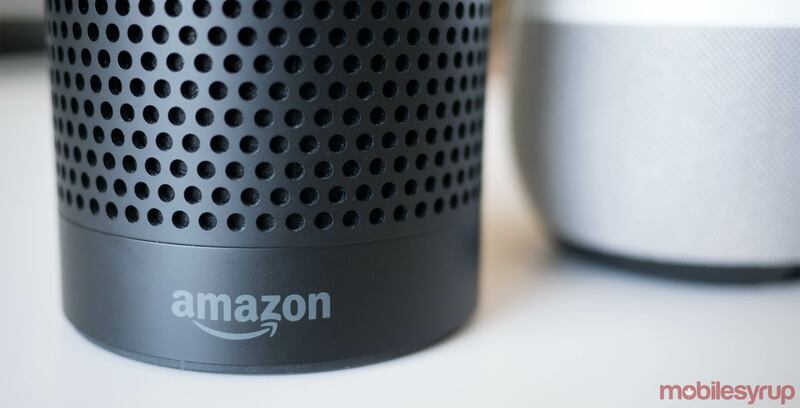 Given MobileSyrup has been reporting for a number of months now that Amazon will likely launch its various voice-activated Echo assistant devices — with a launch reportedly going down as soon as in just a few weeks — it makes sense for the online retail giant to be filing a Look-related patent. It was filed on the November 12th 2017 and formalized on the 13th. The Look is Amazon’s Echo iteration that includes a camera designed to judge the user’s outfit everyday. The patent was filed on October, 10th 2017 and then formalized on October 12th. The retail giant filed similar patent for a ready-made food service in the United States back in July 2017. As always, a trademark filing doesn’t necessarily indicate a product actually exists or is coming to Canada, though it can often be a strong indicator. Just a few weeks ago Amazon revealed a new line-up of Echo products — including a 2nd generation Echo and the Echo Plus — though at the time, the company stated the following regarding a Canadian launch.